Good morning…I’m back after a long drawn out move and happy so I can start blogging about food again. Today I am sharing a simple recipe with you for blackened tilapia, it’s the perfect recipe to make for dinner. 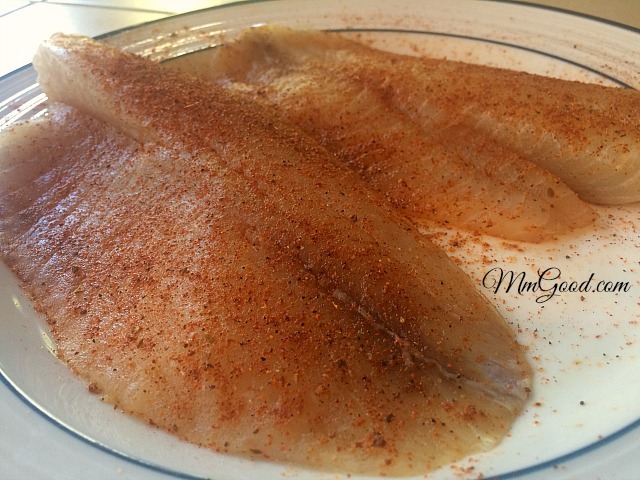 If you are someone that generally doesn’t like fish, you may find tilapia the perfect fish for you to start with as it’s super mild in flavors, meaning it doesn’t have a “fishy” flavor and pairs great with most vegetables. The tilapia I purchased came from Trader Joes, in the frozen section. I love the fish from Trader Joes and we are lucky to have a store local to us, there are generally 2 fish in each package. Remove the fish from the package, remove any excess water, place on a dish and pat dry. Sprinkle both sides with your favorite blackened seasoning salt (I used Zatarain’s Blackened Seasoning after taste tests this is my favorite). Depending on how large your fish is will determine how much seasoning you put on top. Let the fish cook for 3-5 minutes, this timing will depend on the thickness of your fish, what you are looking for is the fish to start cooking through. You know the fish is cooking through as it turns white. Flip the tilapia and cook for an additional 3-5 minutes. Remove from pan and serve with your favorite side. As you can see I served mine with an easy salad. If you are looking to make a special dinner for two, this is the perfect fish to make and here is the perfect recipe for you. If you want to “wow” them and knock their socks off, try my tilapia with mirin recipe as that recipe is also simple and tasty. I know my special someone love this dinner last night and so will yours! 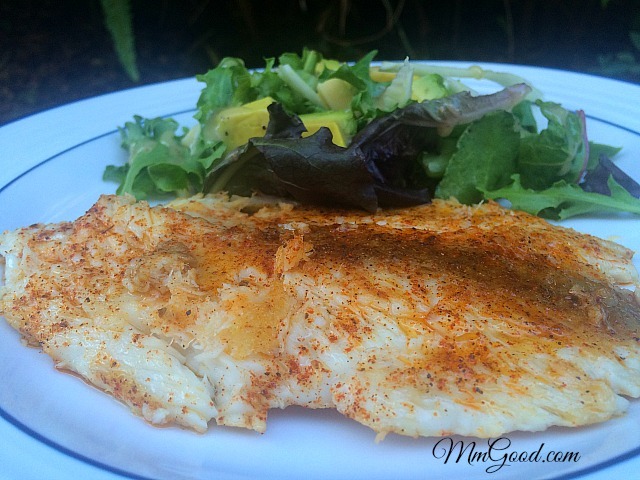 Place tilapia on a plate and season both sides with the blackened seasoning. 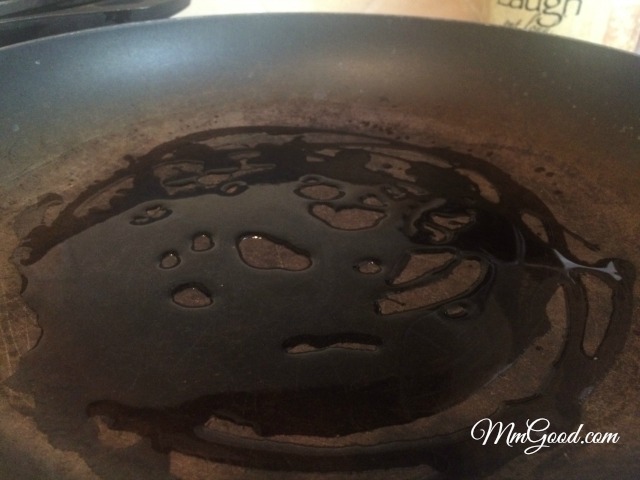 Put enough oil in a frying pan, just to coat the pan and turn on the the burner to heat the oil. 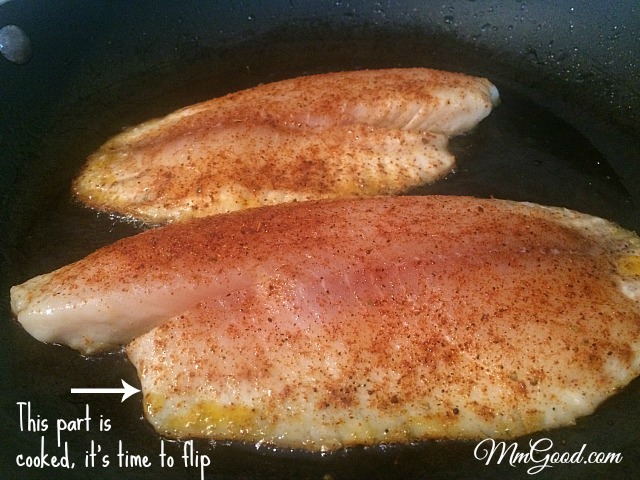 Place the tilapia in the pan, wait for 3-5 minutes or until you see the ends of the fish start turning white (this means the fish is ready to turn). 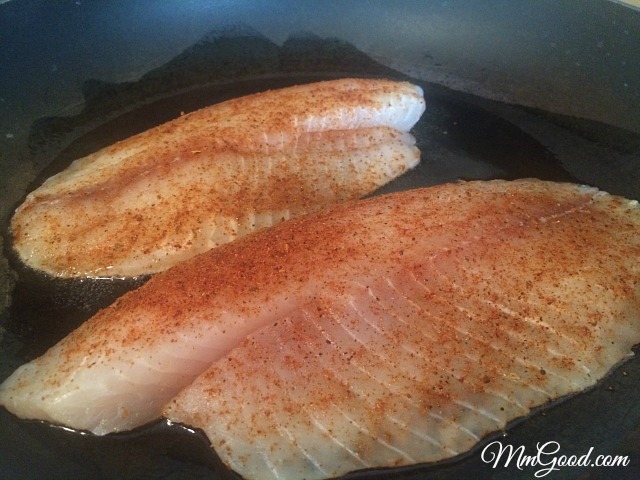 Flip the tilapia and cook for an additional 3-5 minutes or until cooked. Enjoy!